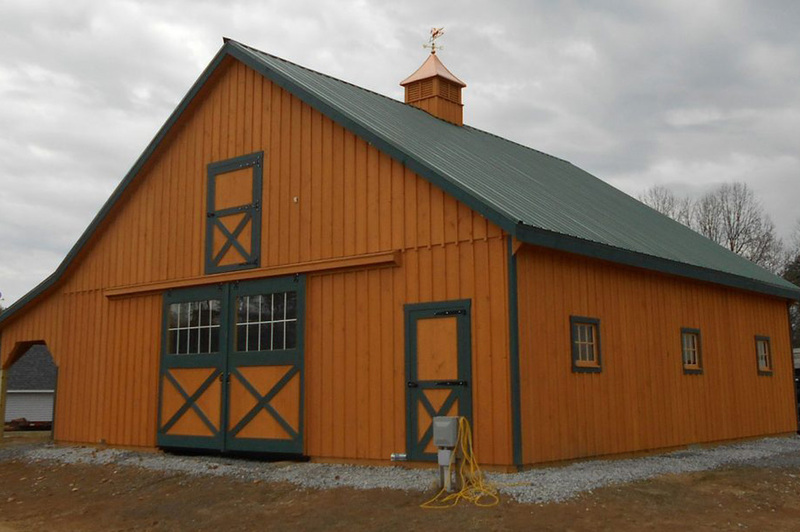 Hardware storage sheds may be good enough for most people, but not for you. You’ve seen the generic-brand options lined up in the hardware store parking lot and dotting your neighbors’ yards — and you’re not impressed. Instead, you want more stylish and more reliable backyard storage ideas. We can help. 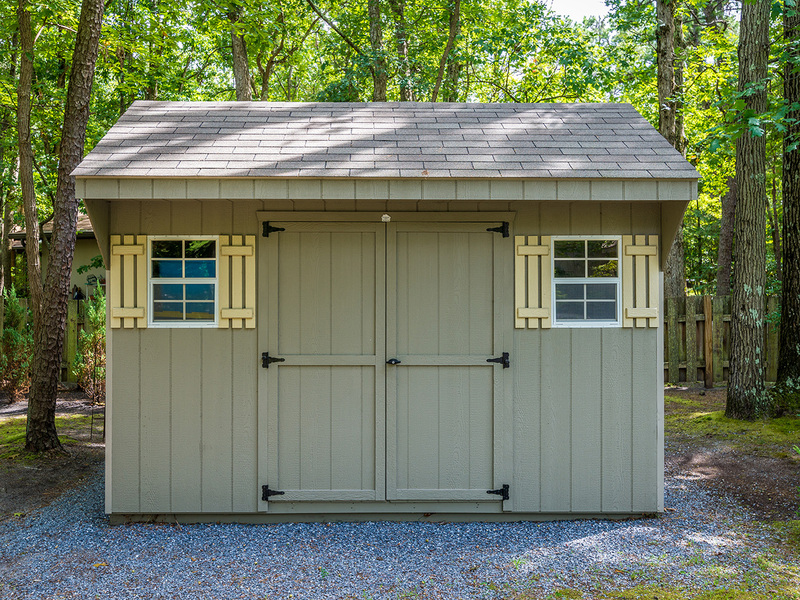 Learn the reasons why those big-box store shed kits tend to perform as bad as they look. 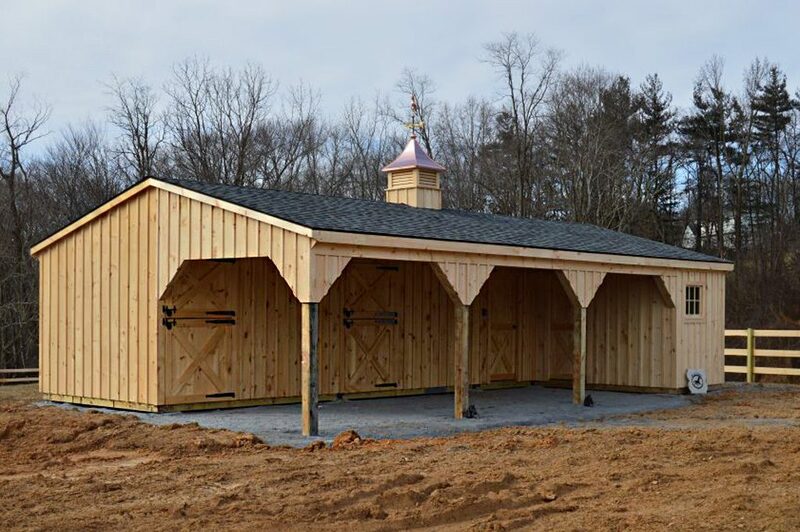 Plus, check out a HUGE variety of backyard storage ideas built by real Amish craftsmen! When the cheapest price is all you care about, hardware store sheds can do the job. Whether they are shed kits you build yourself or pre-constructed, you’ll get the same look and performance. Simply put, great backyard storage isn’t built by the thousands on massive factory floors — they are custom built by real craftsmen. Cheaper material — If a storage shed looks cheap, that’s because it is cheap. The reason they can offer rock-bottom prices on storage sheds is because they are built with rock-bottom materials. These bargain-bin materials come cheap, look bad, and just don’t last. Roof leaks — Most hardware store sheds are built using non-overlapping 3-tab shingles. Those shingles are more likely to blow off in bad storms and they generally leak. J&N structures are built using superior architectural shingles — just like your house. Siding issues — Most hardware store sheds use faux-vinyl siding, which contributes to the plain look and the tendency to develop large cracks. Can be difficult to assemble — The best bargain to be had in backyard storage comes from buying a shed kit and assembling it yourself. While most homeowners assume it’ll be easy, building a shed kit can be harder than expected, taking a week or more to finish. All look the same — No rustic style, no imagination. Just a big chunk of plastic in your backyard. You have so many options for backyard storage, so get one with a little style! 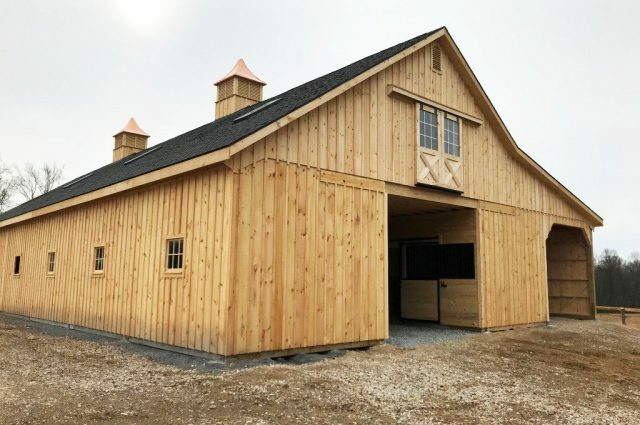 At J&N Structures, our Amish craftsmen build a wide range of modular buildings ranging from personal storage sheds to huge two-story horse barns. 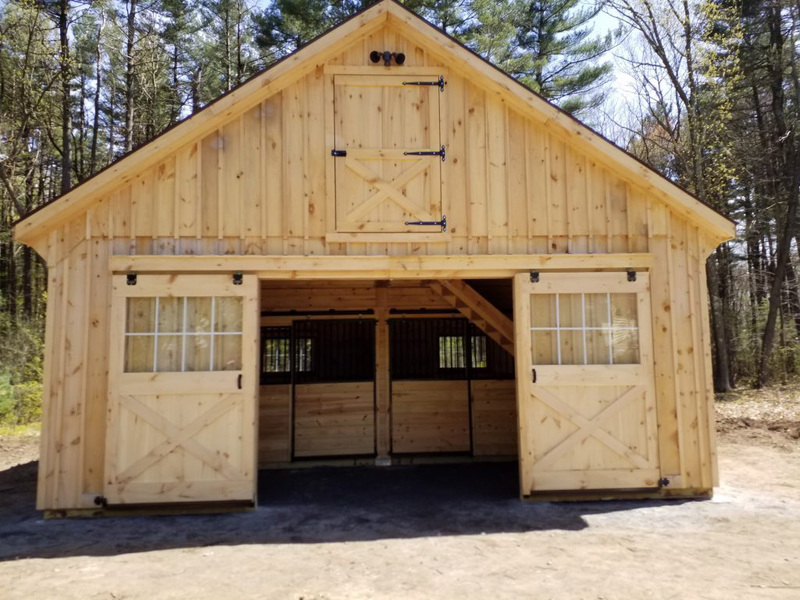 Run-In Sheds — While they are often used as a horse or livestock shelter, run-in sheds are gaining popularity as a backyard storage solution. These sturdy structures can be great for storing gardening tools, planting materials, and even outdoor equipment like lawnmowers. While the roof will be water-tight, the front is open meaning it doesn’t provide perfect protection from the elements. 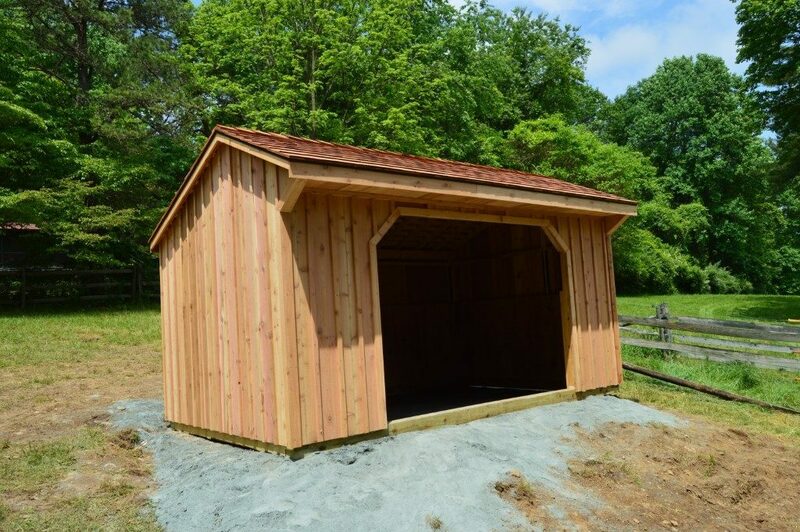 However, run-in sheds do make loading and unloading equipment extremely convenient. Plus, they boast a unique rustic character that will enhance your backyard in a way a generic shed can’t. 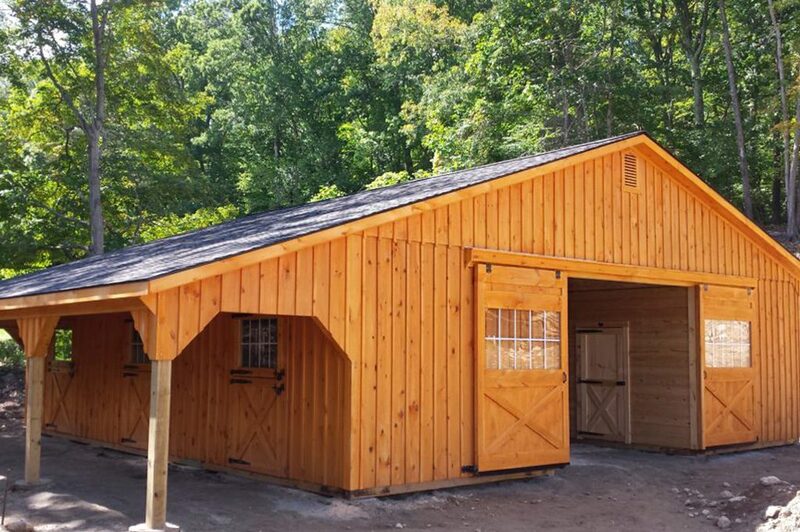 See the stylish run-in sheds we’ve built. 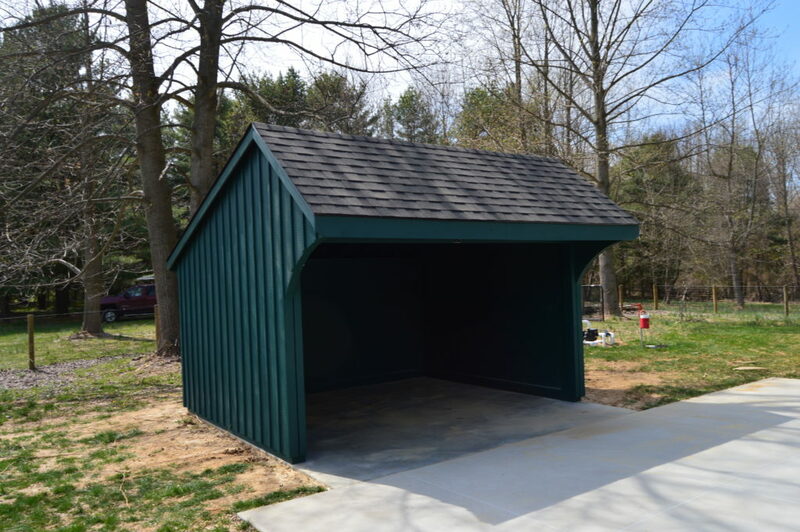 Custom Storage Sheds — While generic storage sheds are out, designing custom storage sheds is a fantastic backyard storage idea. The storage sheds you pick up at the hardware store come in one of three bland colors and basically need to be replaced every few years. 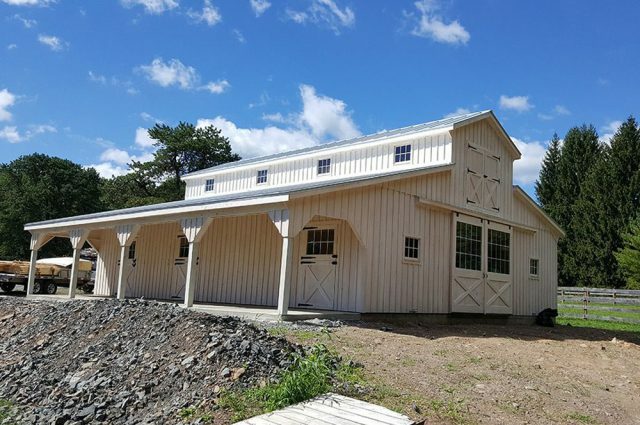 An Amish-built storage shed from J&N Structures is built with the same attention to detail as our custom barns and can stand up to the elements for decades. 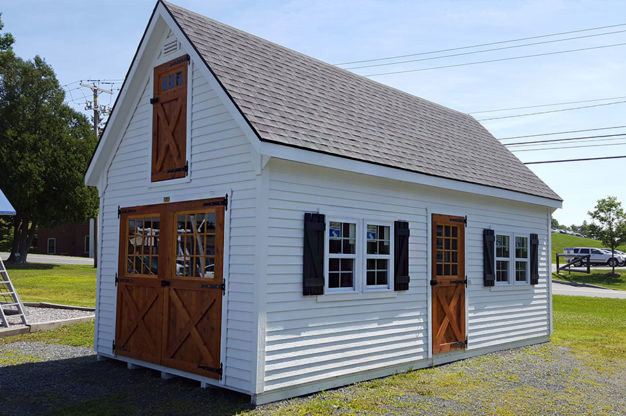 Plus, your J&N storage shed can look like just about anything you want — whether you match the modern décor of your home or create a rustic, country homestead-looking style. Check out these stunning backyard storage sheds. Modular Garages — If you need a massive amount of backyard storage, you just might need a modular garage. These fully-finished modular structures come with the options for climate control and electricity, making them the premier choice for backyard storage. We’ve seen homeowners store everything from their classic sports cars to their business records in this type of garage. As with anything J&N, style is never lacking. 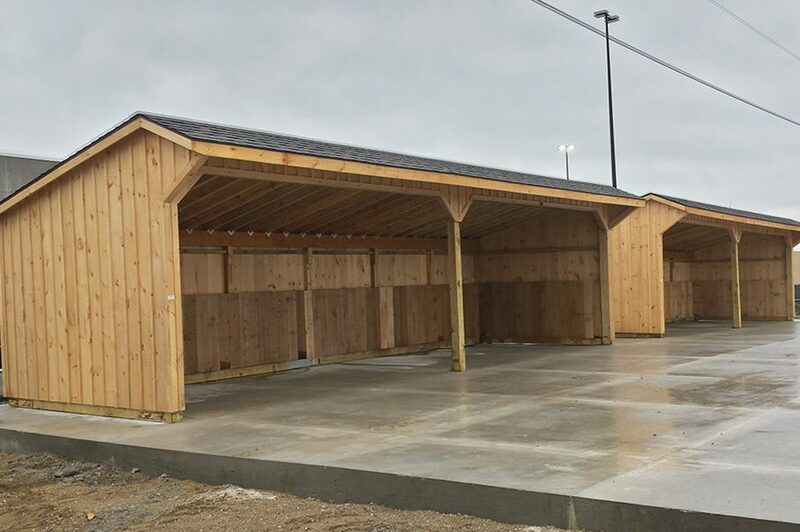 See all of the different spins we’ve put on a modular garage. If you want to think outside of the box, the big box store that is, we’re the company to help you do it. 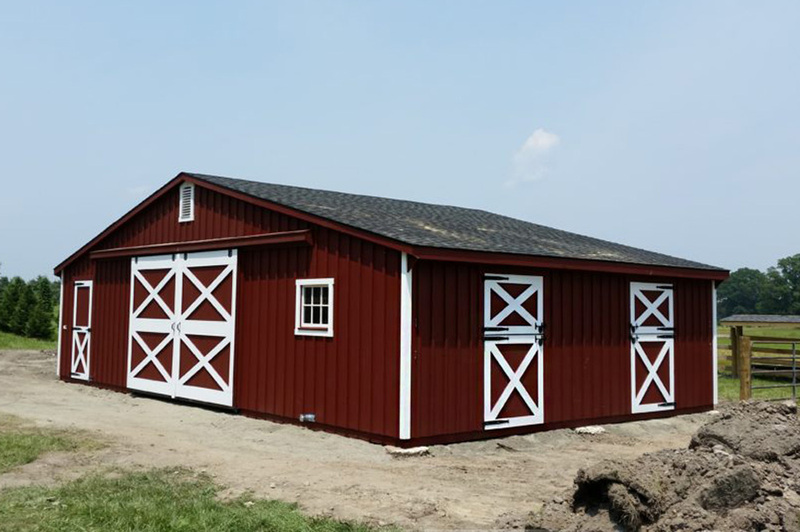 The reason that J&N storage structures are so reliable and so versatile, is that they are all built by teams of true Amish craftsmen out of materials meant to last for decades. 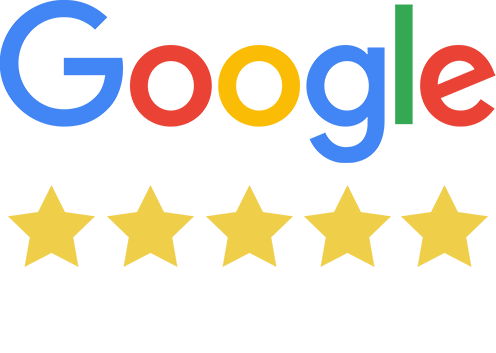 At J&N Structures, we sell our products nationwide through our large dealer network. The first step in getting your own J&N storage structure is to start a conversation with your nearest dealer — find one today!